Those developers who have requested the Limited Edition BlackBerry 10 handsets and have qualified for the unit, have started receiving confirmation that the device is on its way. As BlackBerry puts it, "Due to unforeseen circumstances beyond our control we are unable to offer a Limited Edition BlackBerry 10 for developers on the Verizon network." Some of these developers have no choice and as loyal Verizon customers, want the phone to run on Big Red's network. So the crew at the company formerly known as Prince RIM have decided to give Verizon customers two options. They can decide to request a final BlackBerry 10 device as a replacement. That means that BlackBerry will send them a BlackBerry Z10 or BlackBerry Q10 as soon as the units are commercially available on Verizon. For the BlackBerry Z10, that would appear to be about mid-March. There is no clue when the BlackBerry Q10 will launch in the States. The second alternative is to order a replacement phone from another carrier. Those Verizon customers who already made a request for a replacement unit should expect to receive an email in the next few days. If you are a Verizon customer and want to go ahead with the option to replace your BlackBerry 10 Dev Alpha unit with a new BlackBerry Z10 or BlackBerry Q10, instructions will be sent out ASAP. 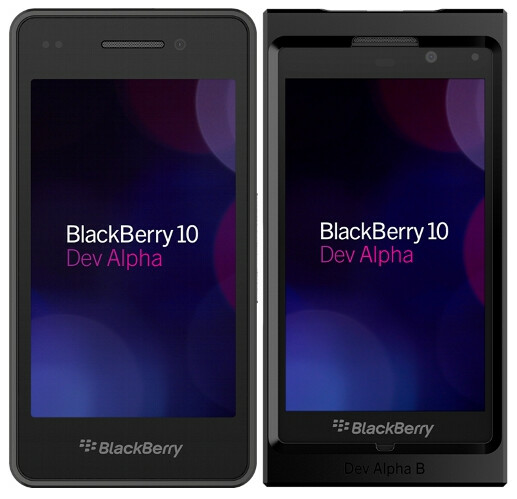 To qualify for the Limited Edition BlackBerry 10, you need to have already received a BlackBerry 10 Dev Alpha unit, and have submitted a qualifying app to BlackBerry World. Those who followed those directions will soon receive an email confirming their application. The limited edition phones are supposed to go out 6 to 8 weeks after the introduction of the BlackBerry Z10 and BlackBerry Q10 models. 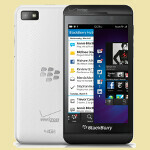 That would put it at roughly the same time period as the launch of the BlackBerry Z10 in the U.S. I don't understand, you love android, which mean you prefer the open system platform... dont you love Adobe flash? don't you love Bluetooth file transfer? don't you love custom rom? don't you love 3rd party apps? don't you love hdmi? don't you love removable battery? don't you love sd card slot? don't you love nfc? don't you love choice? (full touch and qwerty) bb10 has delivered everything you want... Why do you still hate blackberry all the time nikolas? Wrong!!! You don't know how to root bb7? I'm waiting xda to give us the guide how to root bb10!! If you can custom rom on bb7 why not on bb10? http://forums.crackberry.com/blackberry-curve-3g-f216/can-i-hack-mod-root-speed-up-my-blackberry-curve-9330-a-658715/ Here some steps that teach you to custom rom your blackberry, and teach you overclock gpu as well :) enjoy!!! Nikolas.Oliver: Clearly... You have no idea what you're talking about. "Galaxy S3 NOT a mainstream device"? Are you KIDDING me?? The S3 is as mainstream as it gets. Samsung designed it specifically to be so and marketed it as such. Your reasons for hating Blackberry are your own but foolish. "Because its a mainstream device in your country"? That's about as retarded as it gets. "Americans hate Apple"? BWAHAHAHAHAHAHAHAHAHAHAHAHAHAHAHAHAHAHAHAHAHAHAHAH​AHAHAHAHAHAHAHAHAHAHAHAHA!!!!! What rock are you living under? America is Apple's stronghold. Like I said... CLEARLY you have no idea what you're talking about. I'm surprised no on else on PA called you on that BS. I can't wait to come here and see your excuses and the other haters excuses when Blackberry does well. They may not beat Android or Apple(though one can hope the step on Apple on their way to second place)but they'll definitely beat out WP. They've already been doing so with their OLD devices. WP doesn't stand a chance against their new devices. Full disclosure: I'm an Android fanboy. Admittedly so. Currently own a Nexus 4 and Nexus 7 as my daily devices. But I also love cool technology. Good technology. QNX(BB10 for the uninitiated) is AMAZING technology. And has so many more applications(from NASA software, to automobile software, to parking meter software and beyond)than most. BB10 will do quite well in this upcoming mobile computing age we're entering. Its already there. iOS and WP... Not so much. And reports of Apple's slow spiral into nichedom are not exaggerated. Its already happening. Android isn't mainstream? It's in every home! then i will always laugh at cheap fanboys like you! You know that's not true Nikolas. Samsung is one of the most dominant players - if not THE- in your country (Indonesia isn't it?). Current stats shows Android is besting BB in Q3-Q4 2012 (64% market share, IDC stat). And you know clearly that Android = Samsung there. I fail to see your argument there. Android IS THE mainstream OS already. You probably hating BB is just cause it's BB. I love technology be it Android, IOS, Blackberry, Meego etc, and I wish BB10 a very good luck. then theres 1 reason why i hate android/samsung, its because of fanboys like you! So you say that you hate Android and Samsung because of fanboys, so according to you other brands does't have fanboys, right??? I kinda understand where he's coming from. I dont like Apple....I dont like the iPhone or iOS. Their fanboys might make me not like them even more. In all honesty....since I like Android...I dont really care about Android fanboys...lol. I never owned a BB, barely used one ...but I like what I see from BB10....I kinda dont like the hate for BB10. Hate for iOS, the iPhone and Apple....hate on....lol. i mean the attitude of android/samsung fanboys like you! yes other brands have fanboys like me. but we put our nerves down and just hope for the best. not like fanboys like you who bashes other brands who is working hard to be in the game! got it?! "i mean the attitude of android/samsung fanboys like you!" What makes you think that I'm fan of Android or Samsung? What even makes you think that I'm fan of something? "but we put our nerves down and just hope for the best." Could you show me please where I'm nervous? "not like fanboys like you who bashes other brands who is working hard to be in the game! got it?!" If you didn't have noticed it already, I'm just expressing my opinion about various things and I'm doing it constructively not just bashing, I always explaining why I'm saying this or that not just bashing. Galaxy s3 has sold the most out of any other android phone, it's an amazing phone but it is without a doubt mainstream. And who cares about "mainstream" are you a hipster? If it works for you and you enjoy using it, use it and don't worry about it being mainstream. I personally don't understand his hating on BB10. I love "Droid", but I wouldn't mind having a BB10 device. As you said, it has everything that us "Droid" lovers want, as long as the OS is customization, then what more could we ask for?